Grand patriotic concert at His Majesty's theatre, Tuesday July 13th, 1915, sovenir programme, price 6 pence. 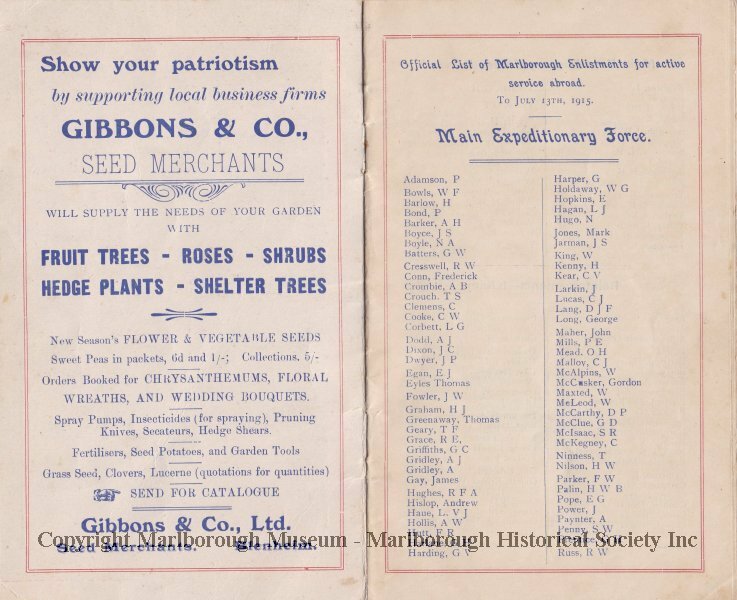 To assist in raising funds for the Marlborough Patriotic Fund and containing the official list of Marlborough enlistments for active service abroad. A.F. O'Donoghue, Musical director. G.G. Whiting, Hon. Secretary.